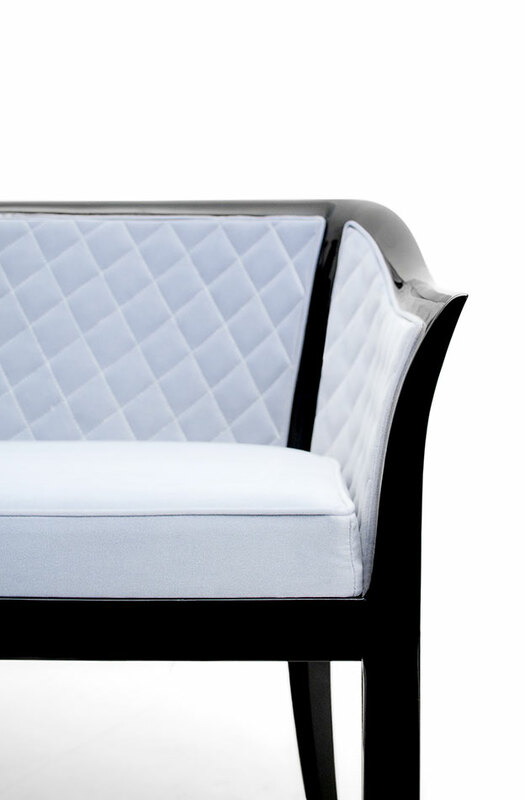 Timeless, elegant and beautifully proportioned Love seat with a simple twist to a classic design. 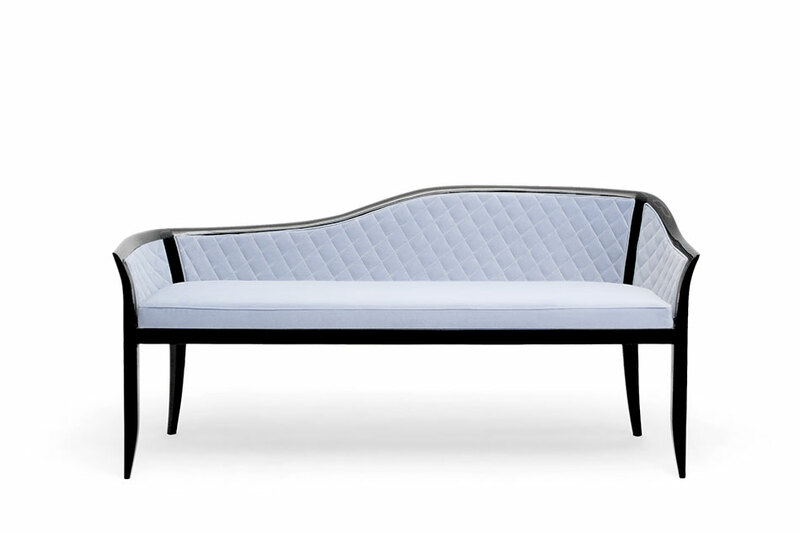 Lacquered structure and upholstered in a light blue velvet. Structure in beechwood and flexible plywood for a uniform finishing. - Main frame elements are fixed by metal screws. - Beechwood with 6 stained colour options, available in Mahogany, or lacquer.